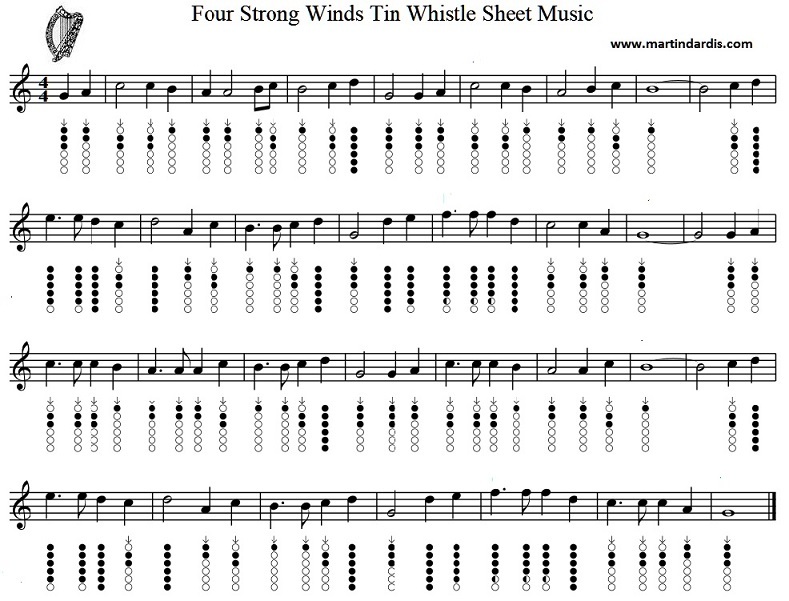 Four Strong Winds Tin Whistle Sheet Music. Written by Ian Tyson, recorded by The Clancys. I tried this with my D whistle and it works fine. Also recorded by Neil Young and Willie Nelson.